Clearance Price ! Dealer Principal's Demo This 2017 Infiniti QX70 Limited Technology Package is fully loaded and features: Naviagation, Sunroof, Bose sound system with Bluetooth Streaming Audio, 21" Alloy wheels, Around View Camera, Adaptive Front Lightying System (AFS) Xenon head lights, Front Pre-Crash Seat Belts, Memory Heated/Cooling Leather Seats, Bluetooth, Audio control on steering, Intelligent Cruise Control (Full-Speed Range), Intelligent Brake Assist (IBA) with Forward Collision Warning (FCW), Lane Departure Warning (LDW) and Lane Departure Prevention (LDP), Distance Control Assist (DCA), Rain-Sensing Front Windshield Wipers, and more ! 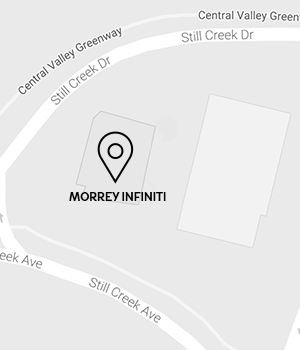 Please call Morrey Infiniti of Burnaby to reserve your road test today.